Say the word meditation to many Christians, and images of cross-legged yoga students in sweatpants or tie-dyed hippies with crystals and incense appear. Sadly, like many of our beloved Christian symbols and practices, the practice of meditation enjoyed by the church through the ages has its share of artificial counterparts. Your minister may use this prayer of petition from Psalm 19:14: “Let the words of my mouth and the meditation of my heart be acceptable to you, O Lord, my rock and my redeemer” (New Revised Standard Version, emphasis added). After the death of Moses God instructed Joshua in obedience saying, “This book of the law shall not depart out of your mouth; you shall meditate on it day and night, so that you may be careful to act in accordance with all that is written in it” (Joshua 1:8, emphasis added). The word meditate in these verses is translated from two Hebrew words, haga and siach. Taken to their basics they mean, “to hear and obey.” Essentially, we are to be still and listen while actively obeying. Joshua was told to meditate on the Word of the Lord so that both the internalizing of those words deep into his heart and the externalizing of those words in deeds would align. Although the word meditate is never used in the New Testament, it is safe to say that when Jesus “went away to pray,” he would have been still so he could commune with his whole heart and mind. This is the essence of biblical meditation. Let’s unpack each step. Our world is so busy and hectic. When we lay our head on the pillow at night we are far from being still. Even if we could quiet our minds, this is not what stillness means in biblical meditation. When we surrender to God our lives and destinies, our cares and worries, and all distractions, we become more aware of our shortcomings. We become sinners standing before a pure and holy God. In the end, stillness leads to acknowledgement that God’s ways are not our ways, and without his help—his grace—we have no hope of understanding and knowing the ancient way in which we are to walk. The next step in biblical meditation is hearing from God. To the biblical writers, listening to God was akin to breathing. Today we’ve fallen out of the practice. One of the most frequent questions I receive is how to discern God’s voice from the many others vying for our attention. I have devoted a chapter on this in my book, Direction: Discernment for the Decisions of Your Life (Beacon Hill Press of Kansas City, 2007), but the short answer is we know his voice through spending time in his Word and through prayer. We are told in Matthew 7:28, 29 that people were amazed at Jesus’ teaching because “it came with authority.” This authority is always balanced by a gentleness of spirit. Even when God must correct, he does so with a gentleness that demonstrates his love. God’s voice is always consistent with his character. There is no inconsistency or incongruity in God. Today we study the Bible, research Scriptures, and memorize verses; but are we really listening? God has something intimate to say through those words. It is opening oneself to the Living Word. The crown fruit of meditation is the changed life. If our hearts are to be his dwelling place, then most of us need new hearts or, at the very least, we need repairs. Thankfully, God is in the business of changing hearts. Let me be clear. This is not something you and I can do alone. No matter how much we may want to change, know we need to change, beg God to help us change, change is not something we can do for ourselves. No matter how skillful, the heart surgeon cannot perform his own heart transplant. The Great Physician must do that for us. The transformed heart is meant to lead to a transformed life. The result will be that you and I will no longer struggle to know and do God’s will because knowing and doing the will of God will be a part of who we are from the inside out. As our minds and hearts begin to line up with God’s, he will produce spiritual fruit within us naturally and without struggle. Obeying God will become second nature. There are many ways we can incorporate this ancient practice into our lives. Two easily accessible ways are meditative reading and meditative worship. 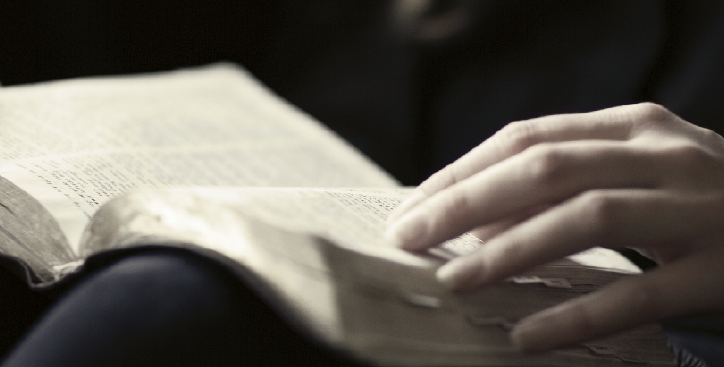 Meditative reading is reading the Scripture not as text to be studied but as the living Word of God. It involves meditating on the Word, asking God, by his Holy Spirit, to help us in our understanding of the Word, and then discerning the actions we should take as a result. Meditative worship is a return to a more contemplative form of worship. You can worship by going on a walk in the woods or sitting on the beach, singing a hymn or playing a worship CD while there and then going through the steps listed above. The Puritan writer Thomas Brooks gives us a picturesque description of biblical meditation and why it is essential for Christians today. Remember that it is not hasty reading—but serious meditation on holy and heavenly truths, which makes them prove sweet and profitable to the soul. It is not the mere touching of the flower by the bee, which gathers honey but her abiding for a time on the flower which draws out the sweet. It is not he who reads most, but he who meditates most—who will prove to be the choicest, sweetest, wisest, and strongest Christian. Psalm 19:14 says, “May these words of my mouth and this meditation of my heart be pleasing in your sight, Lord, my Rock and my Redeemer.” The following resources will help you feel confident that your method of meditation is Christ-centered and pleasing to God.